Talk about shooting yourself in the foot. 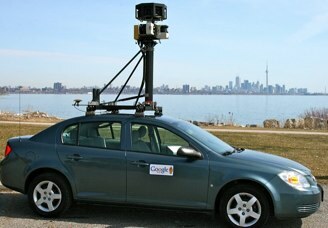 Google has just admitted in an official blog post that its Street View cars have been “mistakenly collecting samples of payload data from open (i.e. non-password-protected) WiFi networks” since 2006. In other words, as these cars have been driving around, they’ve been collecting unencrypted user data in addition to the SSID and MAC addresses they were supposed to be tracking. It’s not likely that Google grabbed enough data about many individuals for this to be a major privacy concern. After all, the cars were typically only in range of most of these Wifi networks for a few seconds. But this is certain to haunt Google nonetheless — the company has so much private data on so many people, that it’s imperative that the public maintain its trust in the search giant and its “Don’t be evil” mantra. Expect privacy advocates and the various governments that are putting Google under increasing scrutiny to refer back to this incident for quite a while, along with Google’s recent Buzz privacy debacle. Internally reviewing our procedures to ensure that our controls are sufficiently robust to address these kinds of problems in the future. In addition, given the concerns raised, we have decided that it’s best to stop our Street View cars collecting WiFi network data entirely. The discovery was prompted by a request from the Data Protection Authority in Hamburg, Germany, who wanted to audit the data Google collected with its Street View cars. Google responded with a blog post on its European Public Policy blog, which has now been shown to contain incorect information that understates how much data these cars have been collecting.